Double Stroke Solid Die Cold Heading Machine Type BICMC are fully Automatic for cold heading screws, rivets & similar products. The Heading Machine is easily operated by unskilled labour with little training. All parts are made of high quality steel. Bumra Industrial Corporation offers Bumra Double Stroke Solid Die Cold Heading Machine type BIC are fully Automatic for Cold Heading Bolts, Screws, Rivets & similar products. We are counted amongst reckoned names in the industry, committed towards manufacturing a broad gamut of Cold Heading Machine. We are the promising manufacturers in Screw Making Machineries for both wood screw and steel screw as we provide with best in quality in our products and promising after services. With an objective to fulfill the demands of our clients, we are engaged in manufacturing and supplying a wide range of Cold Forged Bolt Header Machine. •Used in manufacturing forged bolt. 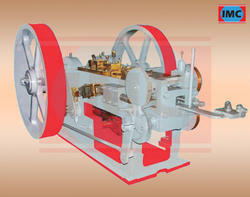 We are an eminent firm occupied in manufacturing precisely engineered Cold Header Machine. 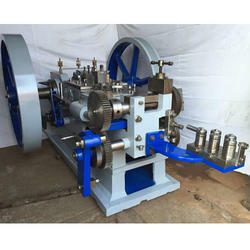 Holding vast expertise and experience in this domain we have been able to manufacture and supply a wide assortment of Cold Roll Forming Machineryto our clients. Our offered range are manufactured using by excellent grade of material and available at industry leading price keeping in mind requirements of our client. Prem Double Stroke Solid Die Cold Heading Machine type PIC are fully Automatic for Cold Heading Bolts, Screws, Rivets & similar products. The heading machine can be easily operated by unskilled labour with little training. All parts are made of high quality steel. - Type Unit SMT H-3SMT H-4SMT H-5SMT H-6SMT H-8SMT H-10SMT H-12SMT H-16SMT H-20SMT H-24Max. Leveraging over the skills of our qualified team of professionals, we are instrumental in offering wide range of Double Blow Cold Forged Heading Machine with Coil Straightened.